San Diego Comic-Con was the trailer debut for RZA's Cut Throat City, a heist movie set in the lower ninth ward of New Orleans during Hurricane Katrina. The film has a solid cast of young actors like Shameik Moore, Demetrius Shipp Jr, Keean Johnson and Denzel Whitaker as well as veteran actors like Terrence Howard, Wesley Snipes and Rob Morgan. What makes Cut Throat City an interesting project is that the filming took place in New Orleans and in the lower ninth ward. The cast and crew got to see first hand the devastating affects of Katrina that still affect the area. They used local residents as their guides and dialogue coaches to help give an authentic feel to the movie. But beyond just authenticity, the cast talk about how jarring it was to see the differences between the downtown areas that were rebuilt and all but forgotten areas of the lower ninth ward. 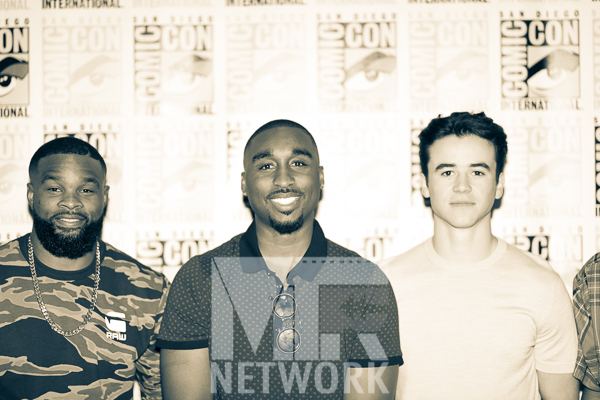 In the clip below Keean Johnson, Demetrius Shipp Jr and Denzel Whitaker each talk about what it was like to see and experience the stark difference in living conditions first hand. SDCC 2018 – What’s in My Camera Bag?